‘Jurassic World’ is my most anticipated movie of 2015. Why? Click here for a refresher. Nothing super-spoilery like a full image of the beast, but we have a sneak peak at the creature’s Godzilla type snout. We also have a “guide” to the dinosaur, showing us his “logo” with an outline of the beast, as well as a fake press-release explaining Jurassic World’s newest attraction. 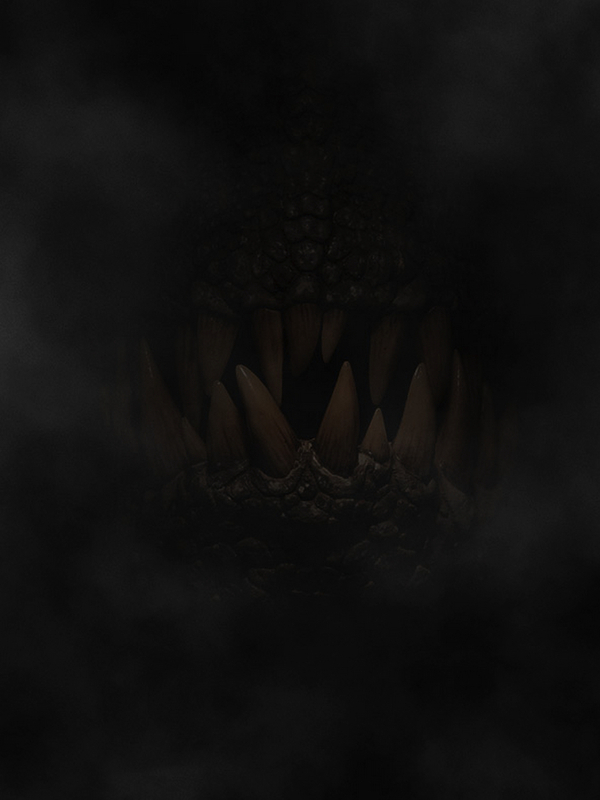 Here’s the very vague face of Indominus Rex. The official look at Indominus Rex. See, barely a real look. No spoilers! 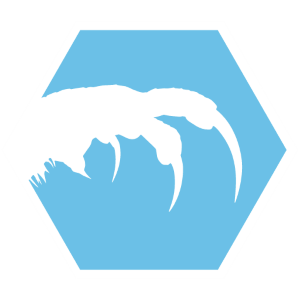 Now, for a clearer look at the creature, without actually revealing the full beast itself, comes a graphic officially released by “the park.”It does live up to the top ad’s promise of “More Teeth.” But is it bigger and louder? Notice the emphasis on the Indominus Rex’s clawed hand. It seems to be the creature’s most dangerous feature, besides the terrifying teeth above. Obviously, the arms are much more effective than a T-Rex, while keeping the overall shape of the classic movie-monster from the first two ‘Jurassic Park’ films. AND GREAT NEWS! It’s not a dino/human hybrid from earlier drafts of the script. This was fixed, as promised and to the relief of ‘Jurassic Park’ fans across the interwebs. Indominus Rex does seem to have a interesting toe as well, but the “official press release from the scientists at Jurassic World” doesn’t include Velociraptor as one of the species spliced into this hybrid as previously rumored (and hoped!). There are a bunch of other Dinos and jargon I don’t understand, making this piece of viral marketing very effective. In addition to the description of the beast’s genetics we get its max speed and even the number of decibels produced by Indominus Rex’s roar. “We set out to make Indominus the most fearsome dinosaur ever to be displayed at Jurassic World. The genetic engineers at our Hammond Creation Lab have more than delivered. 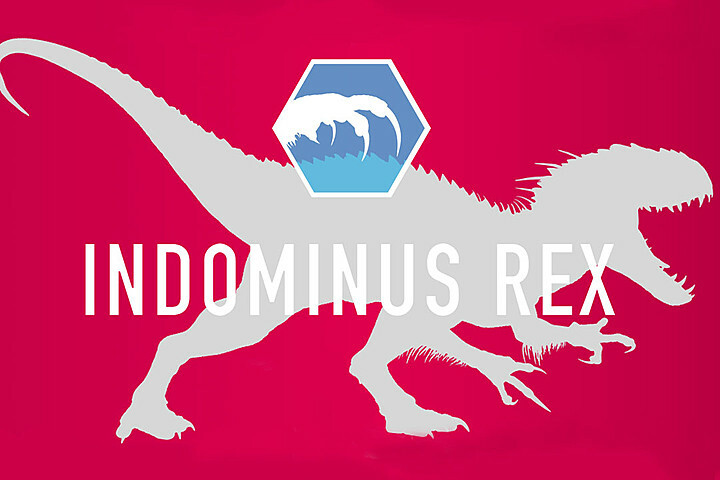 At first glance, Indominus most closely resembles a T. Rex. But its distinctive head ornamentation and ultra-tough bony osteoderms can be traced from Theropods known as Abeliosaurs. Indominus’ horns have been placed above the eye orbit through genetic material hybridized from Carnotaurus, Majungasaurus, Rugops and Gigantosaurus. Fearsome indeed. So it is louder. Much louder! Prepare to see a bunch of tourists eaten by Indominus Rex on June 12th.